Tech World 2016: Lenovo announces Moto Z (world's thinnest premium smartphone) and Moto Z Force with swappable Moto Mods. Lenovo today at Tech World 2016 announced Moto Z and Moto Z Force, the new Moto Z family with Moto Mods. The Moto Mods ecosystem turn your phone into a movie projector, boombox, battery powerhouse, and more, in a snap. Moto Z and Moto Z Force will be launched in the U.S. as Moto Z Droid Edition and Moto Z Force Droid Edition respectively. Lenovo's Moto Z is the world's thinnest premium smartphone at just 5.2mm - and ultra-light with a 5.5" Quad HD AMOLED display. It's also incredibly powerful packing a Qualcomm Snapdragon 820 processor, 4GB of RAM and 32 GB or 64 GB of storage inside. You can get more space for pictures, videos and apps by adding a microSD card up to 2 TB. The Moto Z has a high-resolution 13MP camera with optical image stabilization and laser autofocus, which help you take beautiful, true-to-life pictures in any light. The front-facing 5MP camera includes a wide-angle lens, which is great for fitting friends in the picture. And, with an extra flash on the front, everybody in the groupie looks their best-even in low light. A water-repellant coating means rain, splashes or spills won't get in your way. With fingerprint reader, a touch is all you need to instantly wake up your phone. And with up to 30 hours of battery you can go all day and well into the night without needing to stop and recharge. You'll get up to 8 hours of power in just 15 minutes with TurboPower when you finally need a boost. 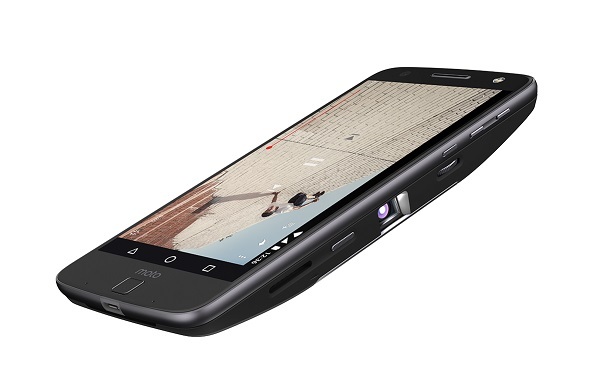 Moto Z Force featuring the second generation of Moto ShatterShield technology, guaranteeing the display won't crack or shatter in case of a drop. Packed with the same great features as Moto Z, it ups the game with up to 40 hours of battery life and features fastest TurboPower charging ever. Get up to 15 hours of battery life in just a 15-minute charge. Capture crystal-clear photos in any light or setting with an industry-leading 21MP camera, featuring optical image-stabilization, phase detection autofocus (PDAF) and laser autofocus. Combined with all new Moto Mods, you can transform Moto Z family into exactly what you need it to be in a snap, whether it's an instant party maker with the JBL SoundBoost or a 70-inch movie projector with the Moto Insta-Share Projector. There's also the Power Pack, which instantly adds 22 hours of life to your phone - and it comes in fashionable designs from partners like kate spade new york and TUMI. Lenovo also made the connection process simple: High-powered magnets connect Moto Mods to your phone so you can easily snap them together as your needs change. You can also match your phone to your own personal style as often as you want with Style Shells. Choose from premium materials like real wood and leather, or pick out a patterned fabric. You can swap them whenever you like. 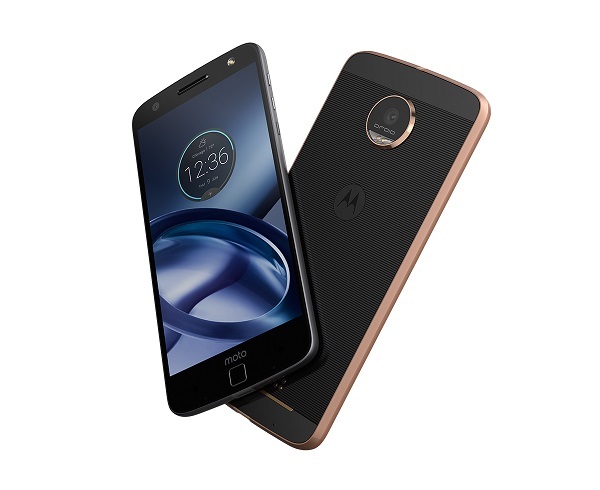 Moto Z DROID Edition and Moto Z Force DROID Edition will be available in the U.S. this summer through exclusive launch partner Verizon at Verizon stores, retailers such as Best Buy and on moto.com. Moto Mods announced today will be available at the same time. Moto Z will be available worldwide beginning in September along with Moto Mods. Moto Z also will be available unlocked on Moto.com and at various retailers this fall.